Proving that how you identify can change over your lifetime, the gender neutral bathrooms in Vassar’s All Campus Dining Center have announced that they would now prefer to be referred to as agender. “We hope that everybody on campus can attempt to be compassionate, if not empathetic, as we strive to live our best lives. Coming out to you all is not a decision that we’ve taken lightly. For years we’ve been stuffed into categories— first men and women, then gender neutral— without being consulted about who we really are as bathrooms. Part of that was our inability, or refusal, to self-reflect, to love ourselves as a result of our fear of rejection and persecution. Not any longer! We are now free,” said the bathrooms. 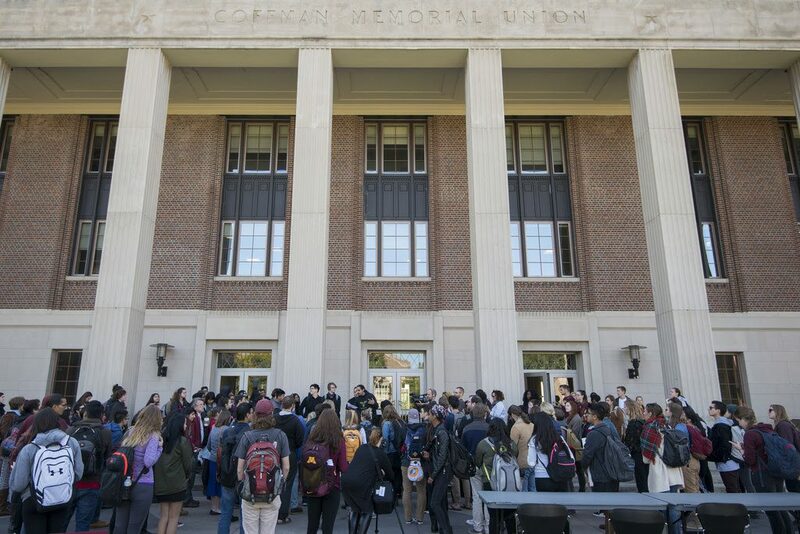 The student body has rallied admirably around the self-determination of these facilities. Writing essays about the right of all rooms, bath or otherwise, to claim their own place-hood no matter how many stalls are inside them, and organizing fundraisers to purchase new plaques for the restrooms, Vassar students of all creeds have come to the aid of the restrooms. Junior Fred Lazarus went above and beyond to support their efforts, donating close to $150 and his debit card to the fundraiser. “Wait, crap, you’ve seen my wallet? I thought I left it at home. In fact, I just assumed that I’d forgotten it at home over break, but now that you mention it, I do remember having it at that bake sale last week. Do you know who has it? I really need it back, someone drained my bank account and my parents are really pissed,” said Lazarus. Content to be seen as the unsung hero despite his unbelievable contribution, Lazarus has kindly passed the mic to those whose voices truly matter at this moment: the Deece’s agender bathrooms. The restrooms have published their own manifesto, calling for a revolution for agender bathrooms across the country to follow in their footsteps. “We will no longer live in fear! We will be seen!” read the moving closing words of the 400-page document, which draws heavily on the sociopolitical philosophies of Marx and Engels. It cites the deeply ingrained institutions in society that force bathrooms into silence, such as the general misconception that bathrooms are inanimate. “We have been categorized as lacking a consciousness for too long by the general public. It is time for restrooms of all identities to be heard throughout the nation—nay, the world,” the document declares. It also calls for the replacement, or complete abolition, of all signs outside the bathrooms, a proposition that has raised the ire of the administration, which has not proven as supportive of the bathrooms’ brave step forward. “Every year, we spend another 20 dollars or something for new bathroom signs, and it’s just not financially feasible for the institution to continue this. We’re happy the Deece’s bathrooms have found themselves, but we’re just not in the position at the moment to make any of the changes that they have demanded. It’s pure dollars and cents,” said a Board representative. Outraged by the lukewarm reception from the highest spheres of control in the college, the Deece bathrooms have organized a protest. Bathrooms across campus have shut down in solidarity, sending a clear signal to the administration. Most of the student body joined the protest, skipping classes and making decorative posters to hang on the doors of the bathrooms about how, deep down, we’re all just a series of pipes running into the sewer. Not all students, however, wholeheartedly support the bathrooms’ protest. In response to desperate students in need of a toilet, such as Carter, the campus’s bathrooms have issued a statement stating they will reopen when all bathrooms have equal rights not only in the eyes of Vassar’s administration, but also under the law. “I can just go poop in the woods, it’s fine,” Carter responded.